This one-day symposium brought together senior managers, researchers and graphic design educators to explore and discuss the challenges facing graphic design research in an academic context. If you know where to look, graphic design research is thriving (Walker 2014), and in these places, we can glimpse how graphic design contributes to new forms of knowledge and understanding. However, when it comes to institutional mechanisms for measuring research, graphic design is, with a few exceptions, yet to flourish. 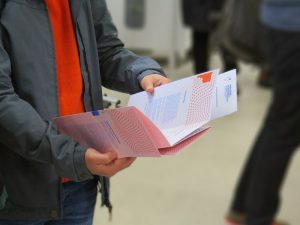 A report that followed the 2014 UK Research Excellence Framework (REF2014) concluded ‘the intellectual and theoretical underpinning’ of graphic design submissions was ‘generically weak’ and showed little sign of improvement since the 2008 Research Assessment Exercise. So, in advance of REF2021, this symposium set out to address two questions: 1) How do we foster graphic design research and make it visible within established academic contexts? 2) What can the disciplinary knowledge practices of graphic design research offer established academic contexts? 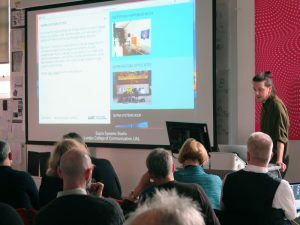 Featuring a keynote address from Professor Anne Boddington (Chair UoA 32 Art & Design REF 2021), James Corazzo, Dr Rob Harland & Steve Rigley who presented findings from a CHEAD-sponsored project to map graphic design outputs from REF2014. 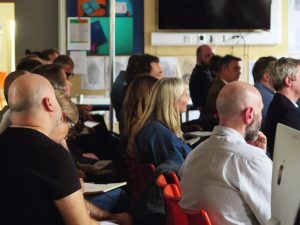 Paul Bailey, Dr Rebecca Ross and Dr Alison Barnes shared their thoughts about their graphic design related research, with opportunities for discussion. 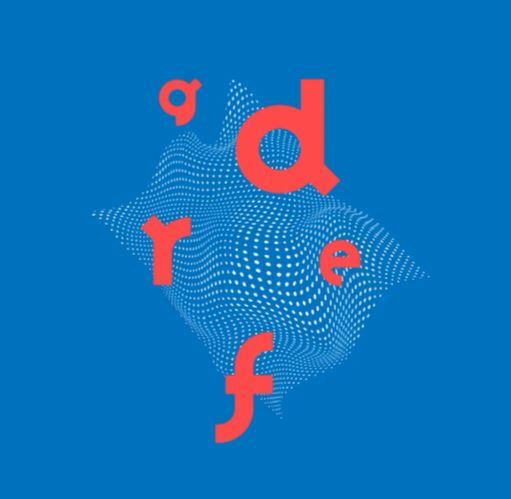 The objective was to bring senior academics, researchers and graphic design academics together with the ambition to identify the specific challenges facing graphic design research in an academic context and propose ways for its flourishing. Co-hosted by CHEAD, Graphic Design Educators’ Network and Art and Design Research Centre, Sheffield Institute of Arts.